Basking in a majestic Lake Michigan setting in Charlevoix Michigan sits Sandpiper Estate on 4.8 acres on the shores of Lake Michigan. The French chateau architecture is a spectacular offering and a one of a kind retreat. From the imposing entrance gates, the winding drive unfolds to a stunning home with over 11,500 sq. ft., 8 bedrooms, 7 full and 3 half baths, 5 fireplaces, and a 5~car garage. A separate spacious executive suite with a private entrance offers large living room, master bedroom, complete kitchen with dining area and 1 1/2 baths. Home has 4 hand painted murals by a noted Michigan artist. Billiards room, exercise room, children play room, teenage game room and mega storage in lover level. Home is offered Fully furnished with approximate value of half million dollars of furnishings. Sandpiper is a work of nature, of pride, of craftsmanship and of artistry that will never be duplicated. The estate abuts the dunes of Lake Michigan with wooded walking paths to Lake Michigan beach, walk miles of sandy shoreline collecting Petoskey stones or beach glass, swim in the wonders of Lake Michigan or enjoy the stunning beach deck with panoramic vista views of shoreline and unspoiled dunes. Enjoy the heated gazebo or sit around the campfire with seating for the whole clan. 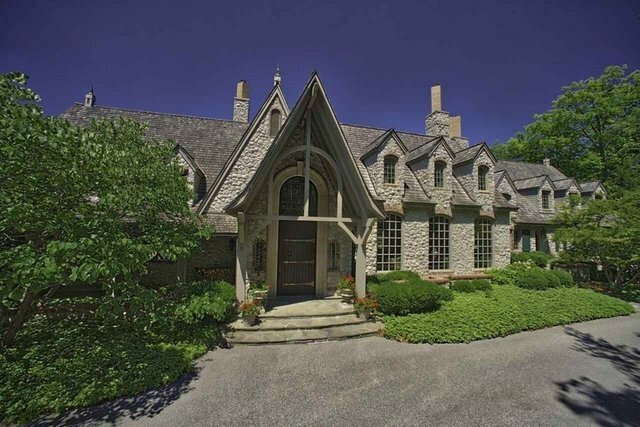 The Private drive with remote controlled gated entrance ensures the privacy one would appreciate from this ONE OF A KIND ESTATE yet the location to town is minutes away to enjoy all Charlevoix the Beautiful has to offer. This is an absolute steal..